The award provides opportunities for students to gain experience in the roles of Coach, Match Official and Administrator; students undertaking this course will be able to develop their own independent learning, volunteering and leadership skills. The purchase you make entitles you to activate 1 course. Additional courses may be purchase via the portal. This software is available for PC only. Rugby League Learning and Tacklesport have worked together to develop the Rugby League Learning Leaders Award. 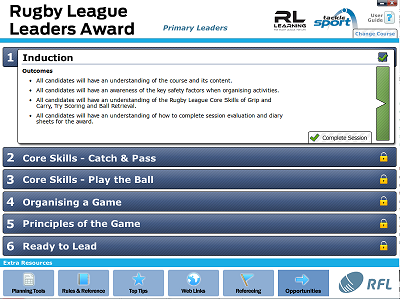 The RLL Leaders Award resource includes 3 courses: Tag & Touch, Primary Leaders, Secondary Leaders. Each course includes a range of resources to enable delivery over a period of 6 weeks, together with festival programmes into a range of environments. The courses are structured around modules with power point presentations, pdfs, animations and video, enabling you to deliver the courses in an engaging and learner centred way. Attendance certificates are also included for distribution to students at the end of each course. Courses can be purchases as ‘stand-alones’ or in blocks of 2 or 3 courses, with a reduction in price depending on the number of courses purchased. Once you have delivered 3 courses you will receive a discount on all future course fees. 1 easy to use resource suitable for all ages and abilities. G.A.P.S. Rugby League contains 250 skills Games, Activities, Practices & Skills covering: Passing; Running Handling; Support; Decision Making; Play The Ball; Contact; Tackle & Defence; Kicking & Fun and Games. Simple to use animation selector / session builder and playback controls with comprehensive printable teaching and coaching notes including, objectives, organisation of practice, technique and adaptations & variations. Used World-wide by top coaches for planning sessions. 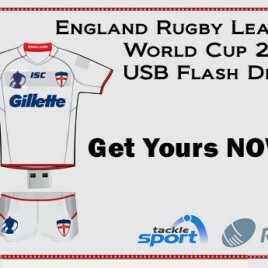 Perfect for RFL Levels 1, 2 and 3 coaches and Trainee teachers. The original and best animated Rugby League coaching Games, Activities, Practices & Skills..
Players are in contact with the ball for an average of 3% of playing time. Games ‘based’ training focuses on the 100% of game time. Research has shown that games based coaching not only develops better ‘game sense’, but is equally as good for developing skills and fitness. Through game based training players can have ownership of their own learning and development and will learn more and improve faster. 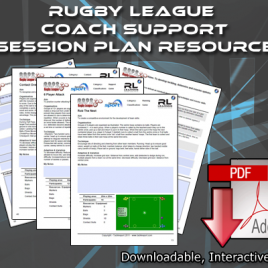 This Coach Support Session Plan Resource has been produced to help teachers and coaches deliver fun, engaging and relevant sessions to young people. Based upon Tacklesport’s G.A.P.S. 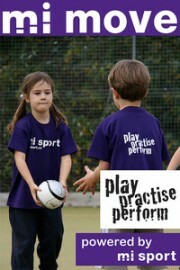 (Games, Activities, Practices and Skills) the booklet provides the perfect tool for planning and delivering sessions that develop fundamental ‘game’ skills in players. 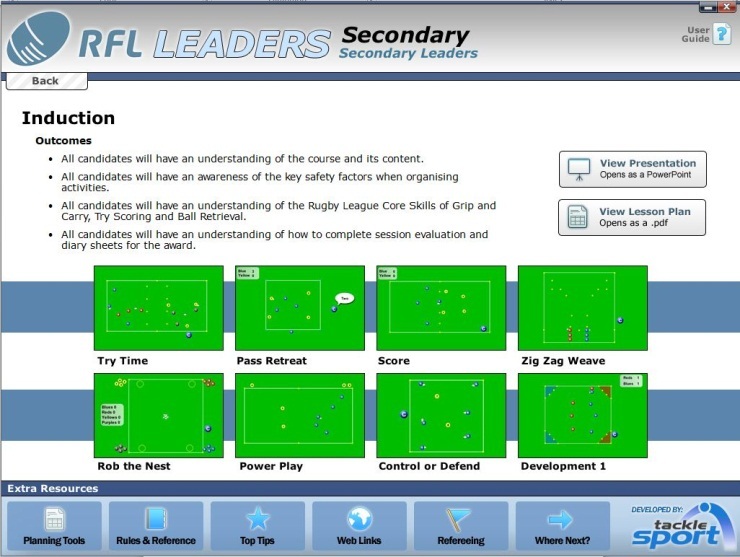 Interactive fields for the addition of notes, personalised game related activities and session evaluation notes. A blank interactive template for creating additional sessions. Activities can be added from any of the exemplars to provide an unlimited source for new and exciting sessions.